After I graduate school in May of 2020 I have decided to join Mustard Seed Network on their mission to plant churches in urban Japan. Mustard Seed has so far planted four churches in the major cities of Osaka, Nagoya, Kobe, and Kyoto. They have set their eyes on the next city: Tokyo. Tokyo is the largest metropolitan area on the planet with a massive population of 37 million people. With less than 1% of whom profess to be Christian. This means that Tokyo is the largest unreached people group the world has ever seen. I am excited to join Mustard Seed Network in planting a new church in Tokyo in 2020. I can’t think of any other city that needs more churches than Tokyo. I ask that you would pray for the spread of the gospel and the multiplication of churches in the city of Tokyo. If you would consider supporting Mustard Seed Network to help me move to Tokyo you can take a look at the support page. I couldn’t be more excited to take this next step in my life and join the Mustard Seed team in the largest city on the planet! This Summer I have been living in Portland, Oregon. From May to the end of July I have been living right downtown, interning at a church plant. This Summer was really challenging, really rewarding, and has affirmed my desire to pursue urban church planting. I just want to say thank you to all of you who helped support my internship. Your support means more to me than you know. This Summer has made a huge impact on my life. I will constantly look back to my experiences this Summer, and all of the things I have learned. The North West is a beautiful place to be in the Summer time. I couldn't of picked a better time to come. 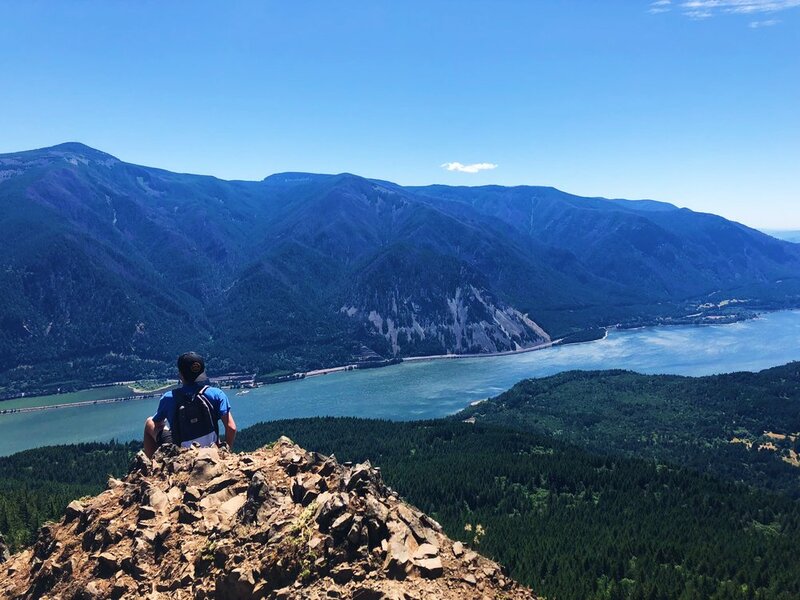 I made several trips over to the Columbia River Gorge for some hiking. 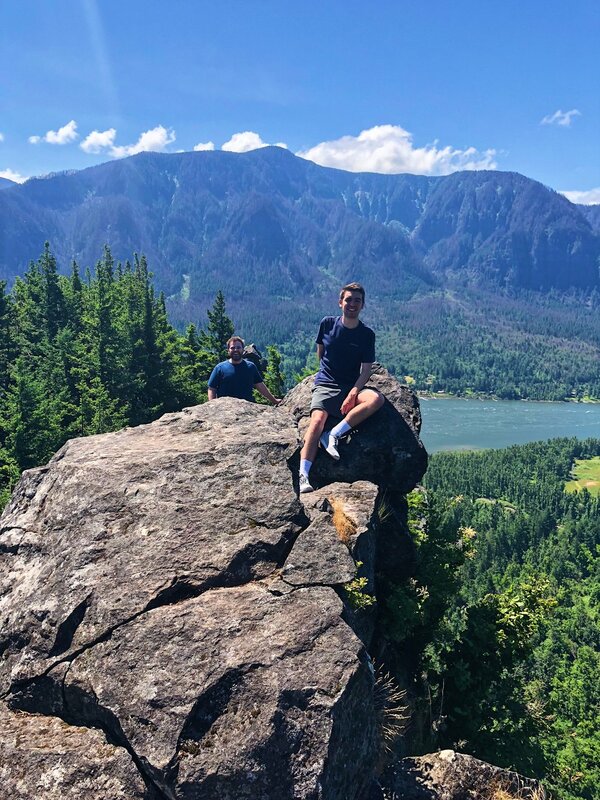 The views were incredible. I also had the opportunity to take a weekend trip to Seattle. I loved being able to be immersed in the culture of Portland, and to figure it out all on my own. I don't have enough space on here to even begin to share all of the things I've learned and explain the experience I had. My Summer was filled with fun, challenges, loneliness, friendship, and growth. The the most important thing I could've gotten from this Summer was learning how to live, as a Christian, within a city. And learning how hard it actually is to move to a brand new place, and have no friends. This Summer was hard. But it was absolutely worth it. For Spring break 2018, I went on a trip with my school to Japan! I went with several other students and two professors. We went on this trip with Mustard Seed Network, an urban church planting organization based in Japan. 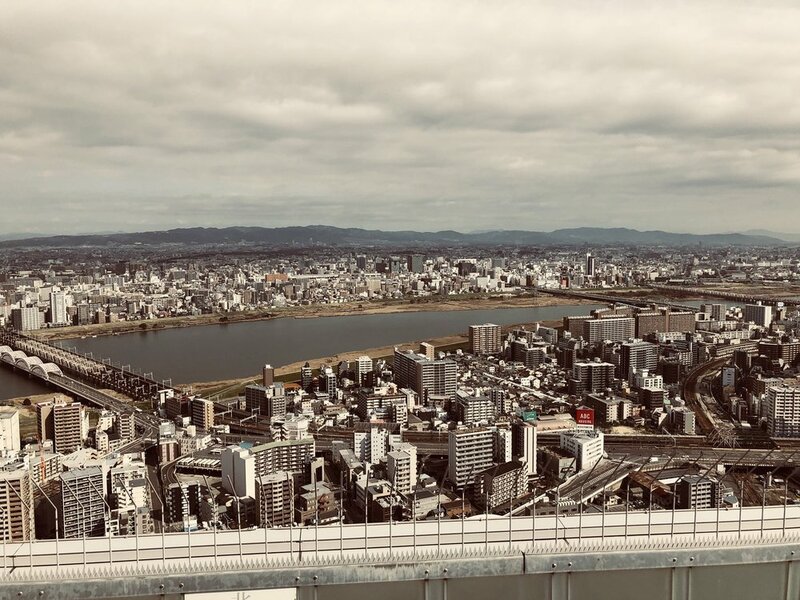 The purpose of the trip was to see if urban church planting in Japan is something that we would be interested in pursuing after we graduate school. Throughout the week we visited each of the churches that Mustard Seed has planted. We got to attend church in Osaka and Kobe on Sunday. And we also visited the buildings of the churches in Nagoya and Kyoto. We all learned so much about what it looks like to plant a church in urban Japan. Less than 2% of Japan's 127 million population claims to be Christian. Gordon Conwell Theological Seminary came out with a study that said that 88% of Japanese people don't even know a Christian. Sharing the Gospel with the people of Japan is something that we should be urgent about. People don't know Jesus. It's a lot different than the United States. Pretty much every American understands the basic story of Jesus and Christianity, but in Japan people literally have never heard it before. When you share the Gospel with someone in Japan you are sharing it with them for the very first time. Urban church planting in Japan is something that I have been looking into for the last few months. Going on this trip has helped me understand what that looks like more. I can see myself potentially pursuing church planting in Japan as a future career. I've always wanted to go somewhere that has a great need for more churches. Japan is that place. They have a huge need for more churches and I want to be able to help with that. Thank you to everyone who helped support my trip! I couldn't have gone on the trip without you! It really means more than you could know. Thank you for helping me understand more about Japan and what it looks like to do church planting there. I plan to continue to take steps to improve my studies and continue to learn more about church planting and how to become more like Jesus every day. 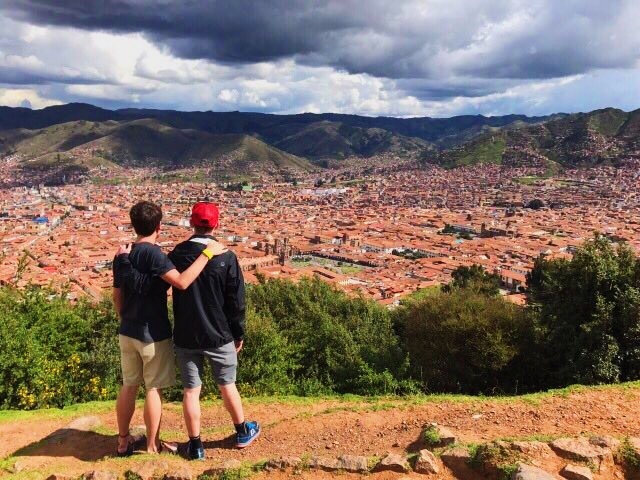 For Spring Break of my Freshman year, three friends and I decided to go take a trip to Peru! Paul Menefee, Josh Walter, Tyler VanWey, and I hopped on a plane and flew to Lima. We spent the first three days in a town called Ollantaytambo. After getting settled into our hostel, on the second day we headed to Machu Picchu! We took a train to a beautiful town called Aquas Calientes, and then took a bus up to the top of the mountain. We checked one Wonder of the World off of our list. It was breathtaking. And then the next day we hiked up a much smaller mountain and got to see some other minor Incan ruins. We then left Ollantaytambo and headed to the city of Cusco! Yes, the city where the Emperor's New Groove is based off of! We checked out the city and then after two nights headed to Lima. The most spectacular part about Lima was the food. Whether it was a small food cart on the side of the road or a 5-star restaurant, it was fantastic. We tried Alpaca burgers, and Guinea Pig. Also Inca Cola, which tastes like bubblegum toothpaste. We saw beautiful Cathedrals and visited the famous Larco Museum. On the last day before he headed back home we hit the beach! Probably the coolest aspect of the trip was meeting people along the way. Staying in hostels is definitely the way to go. I met people from Australia, Egypt, Israel, The United Kingdom, Austria, The Netherlands, and even more places.